Vastern Timber is one of the country’s leading suppliers of English oak beams and Douglas fir beams to builders, timber framers and indeed anyone requiring large sections of timber. 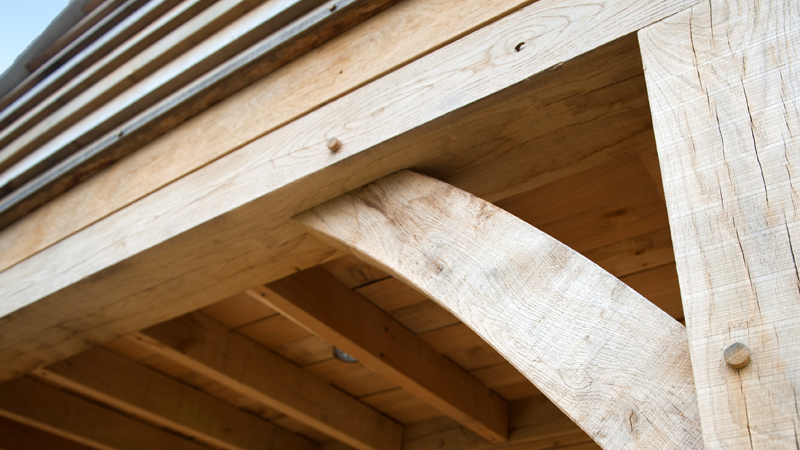 The experts at Vastern Timber have a thorough knowledge of structural timber and its uses, particularly in the construction and repair of oak framed buildings. Unlike many suppliers who buy in pre-cut beams from other European mills, Vastern Timber produces all beams in-house at one of their two sawmills in Wiltshire and by doing so, they are able to have full control over the manufacturing process, ensuring that high levels of quality and accuracy are maintained. Oak beams cut at Vastern Timber are all cut from logs which have been felled for at least one year which helps to reduce ‘spring’ or distortion after cutting. In addition, logs are carefully selected to ensure that the beams not only meet the required grading rules but also look good once they are installed. Structural beams are supplied fresh sawn or ‘green’ which means they have been cut straight from the tree. After installation the fresh sawn beams will begin to dry out causing shrinkage across the section and the development of surface cracks. These changes in shape and appearance are natural and in no way affect the strength of beam, in fact it is this shrinkage which gives traditional timber frames their rigidity by pulling together the pegged joints.